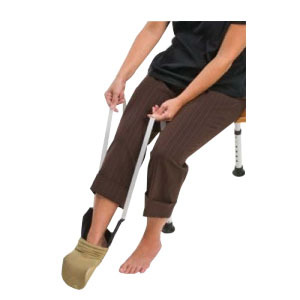 29" straps with loop handles reduce bending over or raising leg. Convenient, durable and easy to use. Terry cloth cover holds sock in place. Nylon lining to reduces friction.